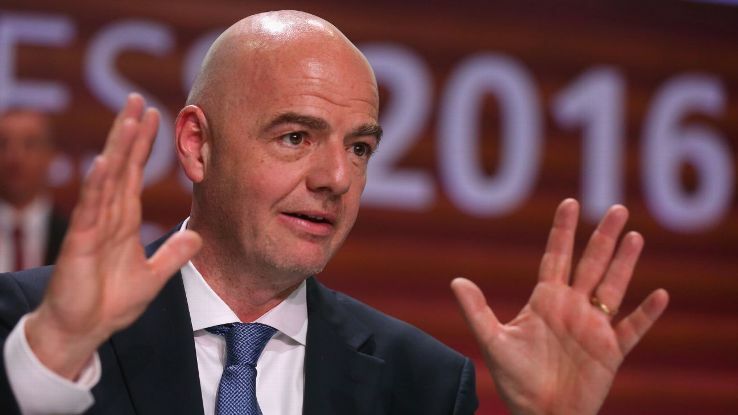 Gianni Infantino, the President of World football governing body, FIFA, has disclosed that there were plans to review and simplify the monthly FIFA Ranking. The monthly ranking has been hotly contested as not reflecting the true strength of footballing countries. Infantino, who spoke to the Media Centre in Moscow on Friday morning, conceded that the rankings could be better and promised that a more competitive system will soon be introduced. He said, “We are not unaware of the fact that the rankings have not reflected the true position of participating nations and I can assure you that it will be changed for the future. “There is the complex issue of countries from different continents who do not get to play each other. Then we must also change the weightings of friendly games as well as look at the differences between Confederations to have a fairly accurate representation. The rankings were introduced in December 1992.